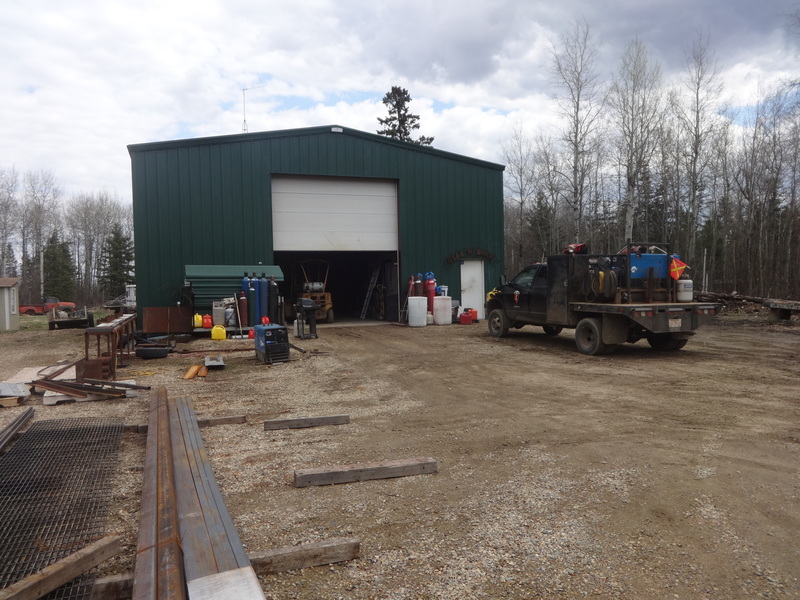 Hell ‘N’ Back’s steel welding shop was built by owners Doug and Susan Thompson on their own acreage south of Nampa, Alberta. It’s the culmination of Doug’s life-long dream to have his own shop, and depending on the day, it’s a blacksmith shop, a welding shop, and an artist’s studio. The shop is small but mighty, and after a 2 year expansion into a much larger facility with a former partner, we’ve learned it’s actually exactly suited to our needs – and a lot more fun, too. Our welding shop allows us to custom fabricate and repair metal no matter what the often brutal subzero Canadian weather is doing outside, and at any given time, we’ve usually got several different projects on the go there, whether we’re building a set of stairs, doing repairs on a truck part, making steel roses, or refurbishing a jet boat. Hell ‘N’ Back’s shop and company are CWB certified for structural welding, and besides difficult jobs and repairs, structural steel like railings and stairs is our specialty.